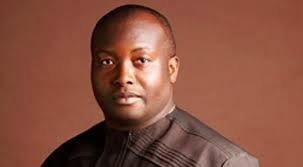 The Managing Director of Capital Oil, Mr. Ifeanyi Ubah, has asked citizens to support deregulation in other to get petroleum products at the lowest price. “I have always been of the view that we should deregulate so that we can cut out corruption but unfortunately Nigerians didn’t take it from Jonathan,” he said, while speaking on Channels TV’s flagship breakfast programme, Sunrise Daily. Asked if any fuel station would be selling above 87 Naira since the oil marketers agreed to make petroleum products available in the country, Mr Ubah said that this would only be possible for those who take the product without using the normal channels. The normal channels, according to him, is to get the Petroleum Ecological Funds (PEF) certification before taking the product. But “if you decide to haul your product from here to Kano or Borno and you don’t want to run under the PEF Scheme, you have to add it to your cost. Mr. Ubah also advised the Federal Government to assist those interested in the building of refineries in the country. “Its very painful that we have been made to look like idiots in our country,” Mr Ubah said, regretting that the Nigerian Government has failed to give the right support to the players in the oil and gas sector in spite of their capacity to run the industry successfully. He believes that there have been no incentives for those who have the capacity and have also “suffered close to ten years” believing in the industry and making huge investment in it. “Go to Capital Oil you will see over 19 vessels floating, for three years none has worked for one day and these are investment made in line with government policy. Mr Ifeanyi Ubah added that he would like to see the incoming government take a good look at the sector and he will be willing to advise because he has “suffered so much” in line with government policies in the downstream sector of the Nigerian economy.